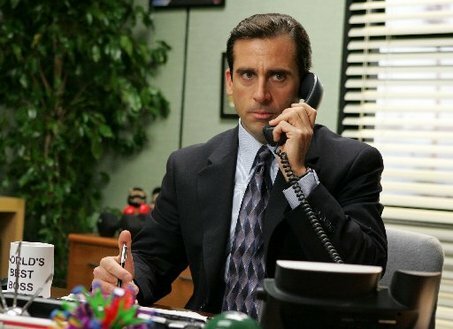 The funniest person on The Office? Andy: What's up? Jim Halpert: You take requests? Dwight Schrute: Jim, could you please inform Andy Bernard that he is being shunned? 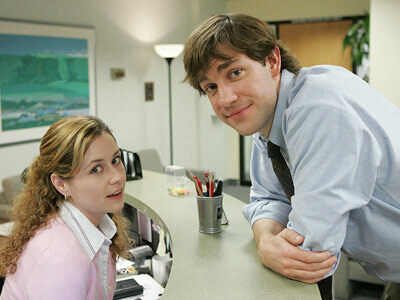 Jim Halpert: Andy, Dwight says welcome back and he could use a hug. Dwight Schrute: Okay, tell him that that's not true. 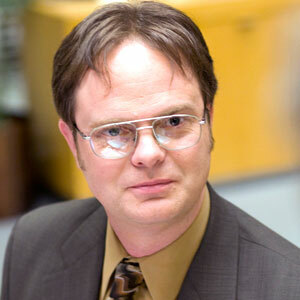 Jim Halpert: Dwight says that he doesn't actually know one single fact about bear attacks. Dwight Schrute: Okay. No. Jim tell him bears can climb faster than they can run. Jim! Tell him! Jim Halpert: Andy... No, it's too far. Dwight Schrute: Brain teaser. I have two coins totaling 15 cents. One of them is not a nickel. What are they? Ryan: A dime and a nickel. Ryan: But the other one is, I've heard that before. Ryan: Because he's my son. The doctor is the boy's mother. Ryan: He stepped on a block of ice, hung himself and the ice melted. Ryan: It's a polar bear because you're at the North Pole. Andy Bernard: Oh. By the way, 1985 called and it wants its car back. Dwight Schrute: Well I hope 1985 has a time machine because I drive an '87. 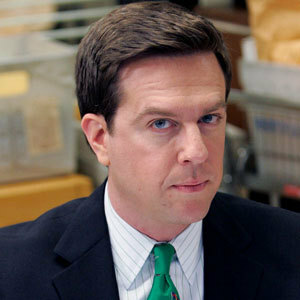 Andy Bernard: Oh, speaking of time machines, I just got back from the future and I went to your funeral and guess what. Nobody came. Dwight Schrute: Speaking of funerals, why don't you go ahead and go die. Andy Bernard: Oh, that was a really well constructed sentence. You should be an English professor at Cor-not University. Pam Beesly: Are those Michael's Levi's? Ryan: Yeah. Who drycleans jeans? Pam Beesly: Michael and his jeans... he gets in them, and I'm not exactly sure what happens, but I can tell you he loves the way he looks in those jeans. I know that's why he started casual Fridays. Michael Scott: So what we do, is we drive all day, and we stay in a hotel together at night. Michael Scott: Well that goes without saying. Pam Beesly: I'm gonna say it anyway. Andy Bernard: Sabateur! Sabateur! I'm going to kill you for real. This game...the game is over, I'm really going to shoot you! Dwight Schrute: Hello. I don't believe we've been introduced. Dwight Schrute, Assistant Regional Manager. Andy Bernard: Andy Bernard, Regional Director in charge of sales. 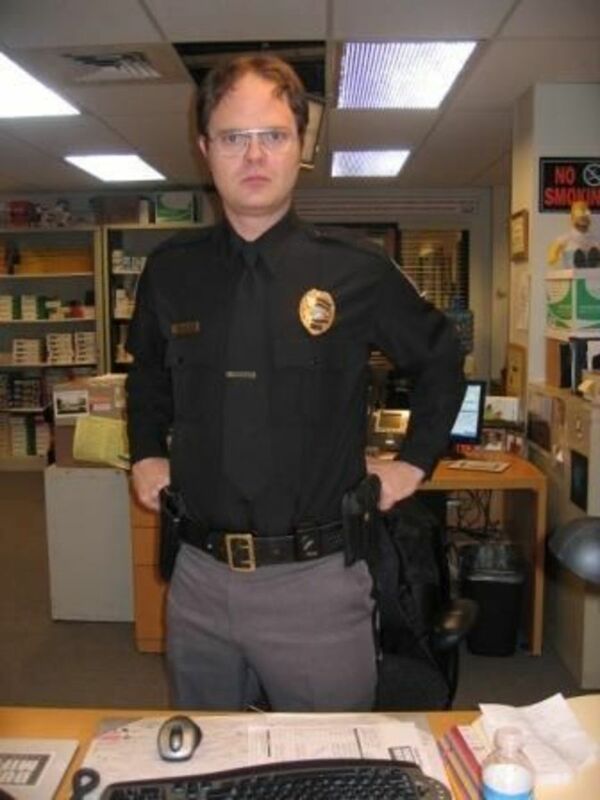 Dwight Schrute: So you'll be reporting to me then. Andy Bernard: On the contrary. Dwight Schrute: My title has "manager" in it. Andy Bernard: And I'm a director. Which on a film set, is the highest title there is. Do you know anything about film? Dwight Schrute: I know everything about film. I've seen over 240 of them. Andy Bernard: I really Schruted it. Andy Bernard: [To Michael] I forgot to tell you the plan for this Saturday. You, me, bar, beers, buzzed. Wings, shots, drunk! Waitresses - hot! Football, Cornell-Hofstra, slaughter! Then quick nap at my place, then we hit the tizzown. Thanks for reading quotes from the best comedy ever. I plan on adding more soon so come back and check it out. Thank You for posting. A joy to read! 8 years ago from http://everything-823.blogspot.com/ I post from my house. The very last one is my all-time favorite Office quote. 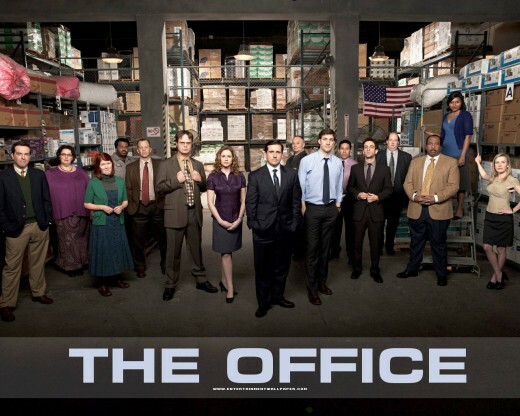 Man, I LOVE THIS SHOW!!! It is very hard to do, there is always at least one thing in each episode that is really funny. Ha, that is funny, glad you liked the hub. Oh wow, I could never pick THE funniest because they are all so funny so many different reasons. My husband doesn't understand why this show makes me laugh, but I watch it all the time and now he just leaves the room. LOL Great quotes! Thanks! There is a lot of funny stuff in this show. Very creative & funny too! Great job!